We hear the usual mantra about most religious leaders accepting evolution. This ignores the fact that it is much easier to conform to the pressures of modern thinking than to be out of step with them, and that this is especially true in our age of spineless political and religious leaders. Also, his fellow misotheists Richard Dawkins1 and Jerry Coyne2 have nothing but contempt for such spinelessness. Prothero relies primarily on the decades-old hatchet jobs by anti-creationists. His conception of the creationist exposé of evolution is fixated at old writings of Duane Gish, and The Genesis Flood by Whitcomb and Morris (1961) (p. 64). Gish has refuted these hatchet-job arguments long ago.3 Yet, throughout this book, Prothero whines about creationists being woefully out of date! What difference does it make if an evolutionist believes that ancestors existed if, by his own admission, they (usually) cannot be known? He tells creationists that they must propose something better. Why? Is a disbeliever in astrology required to propose alternative mechanisms by which celestial bodies determine human fates? Rejecting medical advances (operational science, which is based on observation and experimentation) is supposed to be the same as rejecting evolution in the fossil record (historical science, which is based on inference—not to mention speculation and story-telling). In like manner, rapid, recent speciation is falsely equated with molecules-to-man evolution (p. 113 ff.). Creationist scientists aren’t the only ones bad-mouthed and belittled by Prothero. So are those of his fellow evolutionists with whom he disagrees (pp. 259, 262, 335). Figure 1. 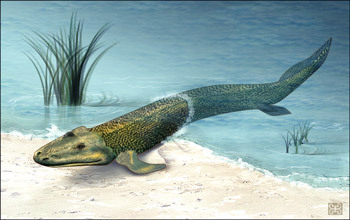 Artist’s conception of the “fishibian” Tiktaalik. Caution, its mode of life is subject to varying interpretations. When all else fails, dissemble against an unwelcome fact by calling it “quote mining”, or out of context. Evolutionists try to muddy the waters by making these accusations regularly, and Prothero plays the same game. For example, creationists have long quoted evolutionists who say that fossil ancestors do not usually exist, or cannot be recognized as such in the fossil record. Prothero objects to this—all because “even the most hard-core cladists do not doubt that ancestors existed!” (p. 135). Furthermore, all cladists continue to believe in evolution. He is clearly trying to confuse the issue by bait-and-switch tactics and by playing semantic games. 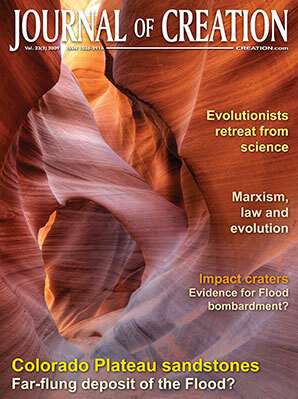 The issue is not whether cladists continue to believe in evolution (Who ever said that they didn’t? The whole point of citing them is that they do—they are hostile witnesses). Rather, it’s whether they believe in evolution because of the evidence or in spite of it. Also, what difference does it make if an evolutionist believes that ancestors existed if, by his own admission, they (usually) cannot be known? Prothero trots out the standard examples of poor design (e.g. the panda’s thumb8) and invents some of his own. He complains that the mammalian recurrent laryngeal nerve follows a roundabout route in the human thorax (pp. 37–38), and that the fins of land-crossing and sea-bottom-sweeping fish are jury rigged (pp. 222–224). Apart from the presumption of judging of what a Creator would (not) make, it is unclear why good design necessarily entails the shortest possible nerve, or why a usually water-supported body should have elaborate or specialized appendages just to skirt the sea bottom or to amble briefly on land. [Ed. see subsequent paper, The left recurrent laryngeal nerve design in mammals is not poor design.] In any case, poor design arguments are a red herring, designed to confuse the issue, which is not the (opined) quality of the design, but the origin of the design. We hear the hoary and bogus stadium-filling argument, or cheating with chance.9 That is, a 20,000-seat stadium can be filled 20,000 factorial different ways, each of which is as improbable as the other, but ANY of which would qualify to fill the stadium. The constituents of a medium-sized would-be biomolecule can be arranged in far more than 20,000 different ways, but only a small fraction of these would be compatible with any role in an eventual living thing (specified complexity). Apparently realizing this, Prothero resurfaces the monkeys-typing-while-edited argument, which ignores the irreducible nature of biological complexity. It would be valid only if, for example, a molecular entity that had 1/10,000 of the essential characteristics of a living thing happened to experience strong favorable natural selection for some reason unrelated to its eventual potential (since evolution doesn’t have foresight), and thus it became common on Earth. A subsequent variant, which happened to be a 2/10,000-of-life molecule, would then similarly have to somehow be strongly favored by natural selection, causing it to largely replace its ancestor, and to become common on Earth. Then repeat this, 9,998 more times. When all else fails, we again hear the party line about no designer being necessary because there are yet-undiscovered naturalistic processes that will explain everything, no matter how complex. Using this reasoning, why insist that a watch found on the beach was necessarily made by a designer? After all, yet-not-understood processes may exist that make watches out of waves and sand (and watches are far less complex than living things). Prothero makes more straw men when he implies that creationists don’t know about Precambrian microfossils or the Ediacaran fauna, and that they somehow believe that the extant phyla appeared at exactly the same position in the Cambrian. But the microfossils and Ediacaran fauna are irrelevant because, by Prothero’s own admission, they were obviously not ancestral to the major phyla. 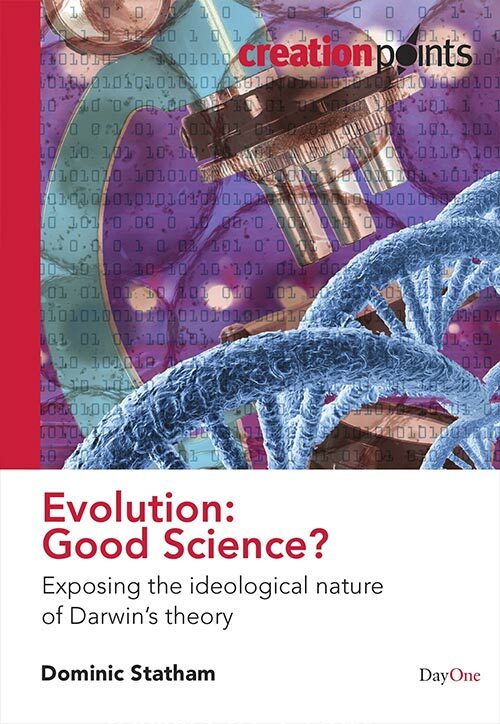 Prothero provides a detailed analysis of cladistic thinking (wherein presumed evolutionary relationships are portrayed in terms of branching patterns), and chides creationists (p. 124 ff.) for fostering ancestor-descendant, ladder of life, and missing link conceptions of evolution. He barely acknowledges the fact that evolutionists (not to mention textbooks and media) have long promoted these concepts, and that not a few of them do so to this very day. Besides, more recent creationist research, which he ignores, includes cladistic concepts (for example Remine,12 published only 16 years ago). “Another part of the problem was conceptual: early work on many groups of ungulates focused too much on trying to find primitive ancestors and link them to descendants, ignoring shared derived characters” (p. 300). It is obvious that evolutionists have redefined “transition” to a lower standard for the word. I have surveyed the cladistic analyses of major fossil vertebrate groups in detail elsewhere.13 It is obvious that use of the cladistic method as proof of transition-filled evolutionary change rests upon special pleading. Claimed transitional organisms are almost-always mosaics or chimeras—an assortment of primitive and derived traits. What’s more, when ALL morphological traits are considered (not only the ones used to define the polarity states within the cladogram), it is evident that a large fraction (sometimes majority) of traits goes from primitive to derived and back to primitive again, at least once each, as one proceeds crownward along the cladogram. Finally, traits that don’t fit cladograms at all are covered by “evolspeak” (e.g. specializations, homoplasy14). But doesn’t the fact that organisms lend themselves to being arranged in nested hierarchies of polarized traits (that is, cladograms) itself prove that they evolved that way (or at all)? Hardly. Assuming evolution a priori, one could construct a cladogram that has an 18-wheel truck as its crown group, and which shows a clearly transition-filled, incremental appearance of “truckness”, beginning with the stem-group unicycle.15 Note also that the human, elephant, and bat is each a highly-derived fish, just as an 18-wheel truck is a highly-derived unicycle. Such is the reductio ad absurdum of cladistic methodology. Prothero notes that cladists tend to avoid the concept of direct ancestry because it is not testable, or they use it nowadays as shorthand for potential ancestors. He defines potential evolutionary ancestry, in a cladistic sense, as follows: “To be a true ancestor, the fossil must have nothing but shared primitive characters relative to its descendants. If it has any derived feature not found in a descendant, it cannot be an ancestor” (p. 134). Prothero has just given away the store! With some supposed exceptions (such as planktonic microfossils; see below), truly ancestral fossils, as Prothero defines them, are virtually nonexistent! (Bear in mind the usual—if not virtually universal—large assortments of primitive, derived, and specialized features found within each of the fossil organisms that are contained in cladograms). In what appears to be an attempt to impress the unsuspecting reader, Prothero reproduces some figures that he claims show continuous evolution. They do nothing of the sort. Many of these examples are merely within-species evolution (variation) (pp. 180–181, 184–188). Close examination of the figures shows various trait discontinuities and reversals in such things as radiolarians (p. 182), trilobites (p. 188), sand dollars (p. 190), and horseshoe crabs (p. 191). There is an increasing tendency for Christophobes to smear those who disagree with them as bigots and threats. He cites his own study16 which supposedly shows unambiguous ancestor-descendant relationships, based on the claim that ocean-bottom sediments are complete. However, even if all this is true, the evolution is only within one species (the radiolarian Eucyrtidium17). 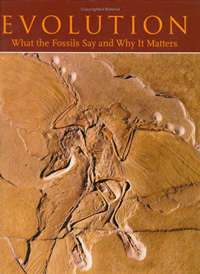 Otherwise, he admits that microfossils have poorly-understood biology (including the extent of biologically-determined constraint in skeletal shape during life), problems with homoplasy, and hybridization (pp. 174–175). In fact, the so-called homoplasy in some foraminifers is so great that essentially the same forms re-occur at different stratigraphic horizons, supposedly evolving repeatedly.18 Homoplasy is a huge problem for evolution but is powerfully consistent with Creation, being part of the biotic message (Remine19) that living things show features that point to a single designer but also thwart naturalistic explanation of the design (i.e. evolution). Prothero’s treatment of this subject is exceptionally naïve. He engages in straw-man-burning tactics by ignoring detailed recent creationist research on this subject, and instead bashes decades-old semi-popular materials. He glosses over practically all of the ambiguities and controversies in human evolution. Prothero makes humans out to be the third ape, and greatly exaggerates the significance of such things as chimp sign language. (The latter may or may not signify even rudimentary linguistic reasoning in chimps.). 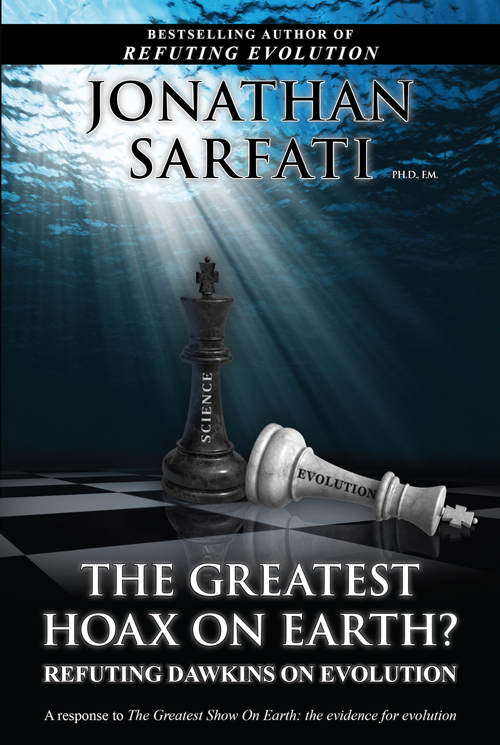 He repeats the hackneyed 97.6% human-chimp DNA identity myth (p. 346). Predictably, he spins the Piltdown Man hoax as an example of the self-corrective properties of evolutionary science—omitting the fact that it took only 40 years to expose, despite the amateurish forgery. There is an increasing tendency for Christophobes to smear those who disagree with them as bigots and threats. In like manner, many evolutionists are now demonizing creationists and ID members as malevolent and dangerous. Prothero also parrots this line (Ch. 16)—even, believe it or not, making the amazing assertion that creationists are out to abolish many fields of science (pp. 352–353), ignoring that most fields were founded by creationists, thanks to their plain interpretation of Scripture.28 Yet he finds the audacity to accuse creationists of lying (even citing Proverbs 12:22; p. 349)! The notion that creationists—who are a small minority—could possibly be a threat to anyone is beyond laughable—considering such facts as the control of academia by leftists, humanists, and evolutionists, and the unmistakably evolution-cheerleading character of the mass media. As noted by the cited book by Bergman, the shoe is on the other foot. Placed in a broader context, the real danger to free expression and free inquiry comes from the political left, with its activist judges who invent and dis-invent human rights by judicial fiat, and the chilling effect of its campus speech codes and criminalization of “hate speech” (guess who defines it) and “thought crimes” (sometimes even the questioning of dangerous man-made global warming), etc. Prothero’s work, notwithstanding its detail, is nothing new. Will we ever live to see the day that evolutionists stop being so narrow-minded and arrogant, and at least recognize the intellectual legitimacy of those who disagree with them? The fossil record of ‘early’ tetrapods: evidence of a major evolutionary transition? Are there really missing links? Is this a problem for particles-to-people evolution? E.g. in Dawkins’ TV diatribe against theistic religion called, “The root of all evil?” (broadcast on Channel 4, 16 January 2006), he said, “Oh but of course the story of Adam and Eve was only ever symbolic, wasn’t it? Symbolic?! Jesus had himself tortured and executed for a symbolic sin by a non-existent individual. Nobody not brought up in the faith could reach any verdict other than barking mad!” Return to text. E.g. see Coyne’s derogatory treatment of theistic anticreationists Kenneth Miller and Karl Gibertson, Seeing and Believing: The never-ending attempt to reconcile science and religion, and why it is doomed to fail, The New Republic, 4 February 2009. Return to text. Gish, D.T., Creation Scientists Answer Their Critics, Institute for Creation Research, El Cajon, CA, 1993. Return to text. See for example the introductory Creation Answers Book, ch. 5. Return to text. Woodmorappe, J., Noah’s Ark: A Feasibility Study, ch. 1, Institute for Creation Research, El Cajon, CA, 1996. Return to text. Thaxton, C.B., Bradley, W.L. and Olsen, R.L., The Mystery of Life’s Origin, Philosophical Library Inc., New York, 1984, ch. 8; available online <www.ldolphin.org/mystery/index.html>. Return to text. Bergman, J., Slaughter of the Dissidents, Leafcutter Press, WA, 2008; see review by To, L., J. Creation 23(2):37–40, 2009. Return to text. Long ago refuted—see Woodmorappe, J., The Panda thumbs its nose at the dysteleological arguments of the atheist Stephen Jay Gould, J. Creation 13(1):45–48, 1999; after Endo, H. et al., Role of the giant panda’s “pseudo-thumb”, Nature 397(6717):309–310, 1999. Return to text. Batten, D., Cheating with chance, Creation 17(2):14–15, 1995; <creation.com/chance> Return to text. Dzik, J., Behavioral and anatomical unity of the earliest burrowing animals and the case of the “Cambrian explosion”, Paleobiology 31(3):503–521, 2005. Return to text. Woodmorappe, J. Studies in Flood Geology, p. 181, Institute for Creation Research, El Cajon, CA, 1999. Return to text. Remine, W.J., The Biotic Message, St. Paul Science, MN, 1993. Return to text. Woodmorappe, J., Bird evolution: discontinuities and reversals, TJ (J. Creation) 17(1):88–94, 2003. From there, check the references to my earlier works on the cladistics of major vertebrate groups. Return to text. “Homoplasy” is the occurrence of similar features/traits in organisms that are not related by common ancestry such as to “explain” the sharing of the common trait. For example, the incredible similarities of placental and marsupial moles, anteaters, rats, etc. Return to text. Woodmorappe, J., Walking whales, nested hierarchies, and chimeras: do they exist? TJ (J. Creation) 16(1):111–119, 2002. Return to text. Prothero, D.R. and Lazarus, D.B., Planktonic microfossils and the recognition of ancestors, stematic Zoology 29(2):119–129, 1980. Return to text. Prothero, ref. 16, pp. 125–128. Return to text. Lazarus, D. B. and Prothero, D.R., The role of stratigraphic and morphologic data in phylogeny, J. Paleontology 58(1):163–172, 1984. Return to text. Remine, ref. 12, p. 529. See convergence. Return to text. Lamb, A., Livoniana–have they (finally) found a missing link? TJ (J. Creation) 16(1):4–6, 2002. See also Garner, P., The fossil record of “early” tetrapods, TJ 17(2):111–117, 2003. Shubin and Alberch, ref. 23. Return to text. Mitchell, C., Is the fish really our ancestor? J. Creation 23(1):29–32, 2009. Return to text. Holmes, B., Meet your ancestor, New Scientist 191(2586):35–39, 2006. Return to text. Shubin, N.H. and Alberch, P., A morphogenetic approach to the origin and basic organization of the tetrapod limb, Evolutionary Biology 20:319–387, 1986. Return to text. Shubin and Alber ch, ref. 23, pp. 374, 379. Return to text. Shubin and Alberch, ref. 23, pp. 324–327, 328. Return to text. Woodmorappe, J., Does a transitional form replace one gap with two gaps? TJ (J. Creation) 14(2)5–6, 2000. In addition, a fossil discovery can create new gaps instead of filling a gap. Return to text. Sarfati, J., Tiktaalik roseae a fishy missing link , J. Creation 21(1):53–57, 2007; <creation.com/tiktaalik>. Clack notes the sharp discontinuity between Acanthostega and Tiktaalik. Return to text. Harrison, P., The Bible, Protestantism, and the Rise of Natural Science, Cambridge University Press, Cambridge, MA, 1998; see review by Weinberger, L., J. Creation 23(3):21-25, 2009. Return to text.